The General Assembly’s commitment to open government and campaign transparency improved significantly during the 2011 and 2012 legislative sessions, but lawmakers still fall behind when it comes to judicial selection and ethics reform, according to the annual Common Cause legislative scorecard released Thursday. The report broke down 28 House votes and 27 Senate votes that focused on campaign finance and election reform, ethics and lobbying reform, judicial selection, open government and separation of powers and scored legislators based on how they voted. The average score for House lawmakers was 68 percent while Senators scored 66 percent. Both average scores increased significantly from the previous two years, when the General Assembly received record-low rankings (48 percent in the House and 51 percent in the Senate). "We are happy to see the average scores rise in 2011-2012," said John Marion, executive director of Common Cause Rhode Island. "The legislature is serious about tackling the consequences of the Citizens United decision that unleashed unlimited, undisclosed money in our elections." Some of the state’s most liberal Democrats topped the list on the House side, with first-term Providence Representative Maria Cimini leading the way at 85 percent. 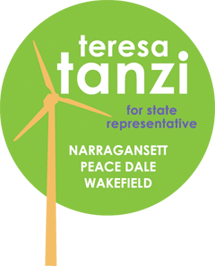 Along with Cimini, Representatives Teresa Tanzi (81%), Donna Walsh (81%) and Charlene Lima (80%) were the only four members of the House to score at least 80 percent on the scorecard. To read the rest of the GoLocalProv article click here, and to see the Common Cause complete rankings, click here.